Who doesn’t like froot loops? Well, I’m not a big fan of it but my 2yo son undoubtedly love it. and today we’re making some activities that involves this yummy cereal. 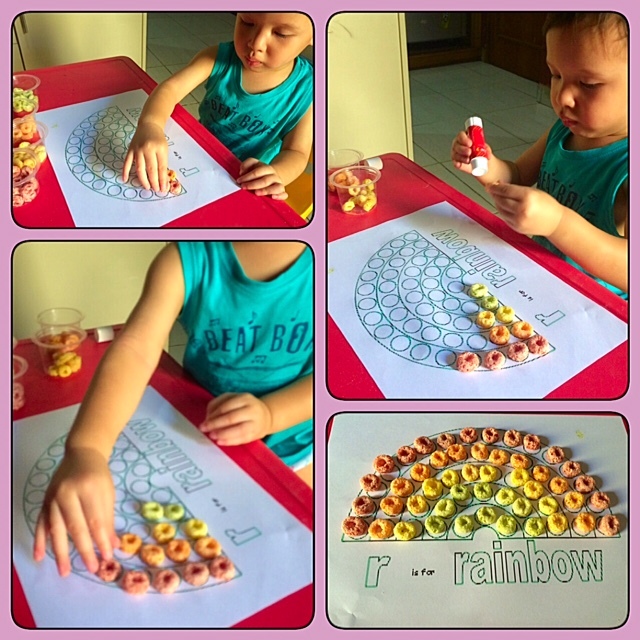 My son enjoyed using his pincer grasp to pick up each cereal ring, and gently place onto one of the toothpicks according to the colour. 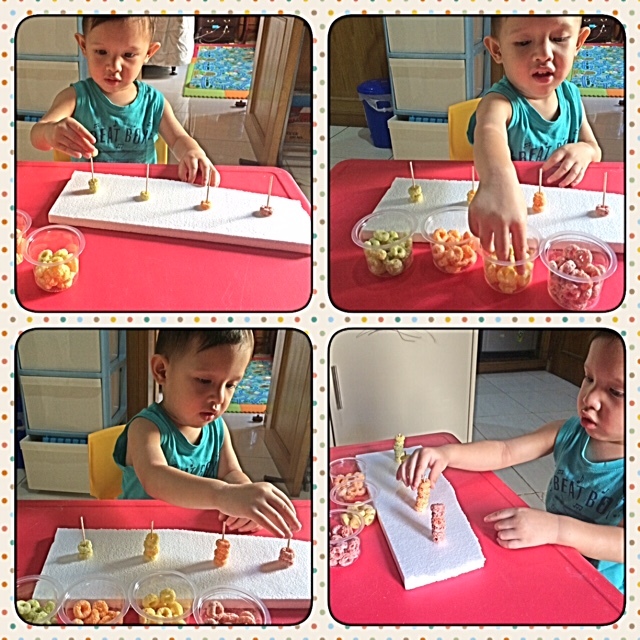 This activity is good for his fine motor skills, hand eye coordination and colour recognition practice. Please remember that attentive supervision needed when you do this activity with your toddler.